Not sure what to cook for dinner? Time to consult the computer chef. You just found a great recipe for gumbo on the internet: Simple, tasty, nutritious. But it calls for alligator meat, and you’re a long way from the bayou. You’re also not sure where you’re going to get a pound of fresh crawfish tails. But dinner needs to be on the table in an hour—what to do? How about a deep-learning algorithm to the rescue? Researchers in Japan and the United States have trained a neural network to transform recipes from one dietary style into another, suggesting substitutions for ingredients and techniques. Its potential applications lie far beyond convenience. The scientists who developed the algorithm hope that it may one day transform recipes for favorite foods into healthier versions—no matter where they are in the world. “The basic motivating idea is that if one wants to change eating behavior to improve health, then people must want to eat the dishes, and this may be a culturally-defined thing,” says Lav Varshney, professor of electrical and computer engineering at the University of Illinois at Urbana-Champaign. 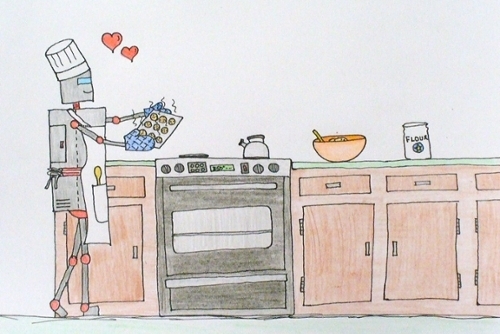 Varshney and his collaborators trained their neural network using nearly 40,000 recipes from the online repository Yummly. The network learned to identify a recipe’s dominant dietary style by calculating the contribution of each its ingredients to 20 pre-selected regional cuisines, such as Thai, Russian, or Cajun Creole. The team used word2vec, a technique common in natural language processing, that locates words in a vector space in order to extract their context. 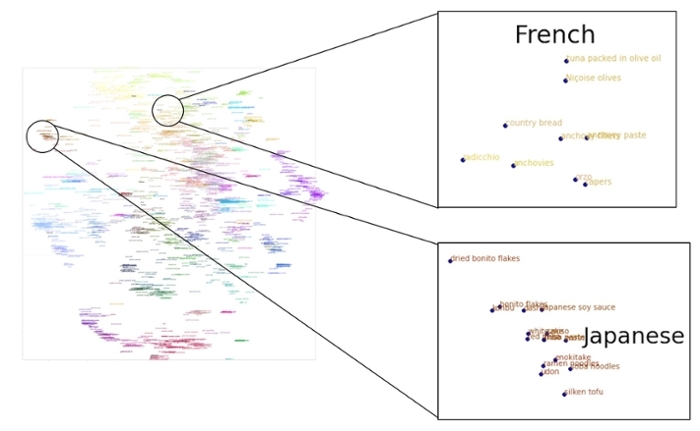 Applied to cuisine, word2vec considers recipes as sentences and ingredients as words, mapping the similarity of various ingredients. 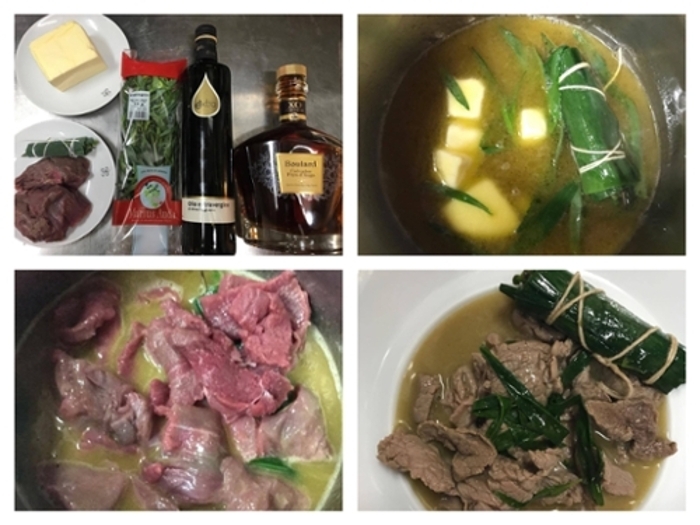 To produce a Japanese sukiyaki in the French style, the network suggested replacing the original Japanese ingredients of soy sauce, beef sirloin, white sugar, green onions, mirin, shiitake, egg, vegetable oil, konnyaku, and Chinese cabbage with French ingredients such as Calvados, bouquet garni, fresh tarragon, and melted butter. Keisuke Matsushima, a two-star Michelin chef who presides at an eponymous restaurant in Nice, France, prepared the recipe of sukiyaki in the French style and declared it a success. The final result may seem like stunt cooking with little practical application, but the researchers hope that their methods will lead to changed eating behaviors and healthier populations around the world. As “modern” dietary styles reach into all parts of the globe, public health suffers. More than 1.3 billion people around the world are obese. Diabetes and heart disease are worldwide epidemics. But current strategies such as taxes on soft drinks and restricting junk food advertising are not producing the desired outcomes. “Voluntary guidelines and piecemeal nutrition initiatives have failed to create a system with the right signals, and the odds remain stacked against the achievement of a healthy, balanced diet,” says Olivier de Schutter, the United Nations Special Rapporteur on the right to food. Previous nutrition research has determined what makes a recipe healthy. But if that recipe doesn’t appeal to an individual or a population, it won’t be adopted, no matter how great the health benefits it promises. And those alligator steaks? Not to worry: a serving of stewed crocodile contains less fat and nearly twice the protein of chicken. Maybe you should consider it as a substitute the next time you’re planning to cook up a chicken pot pie .